Teri Anderson MHS '89. Living More…in Wyoming, MI. Two children, Alex (2001) and Alyssa (2004). We split our year between The Villages, Florida, in the winter and Holland, Michigan, in the summer. 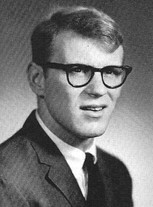 After MHS I went to the University of Dubuque, played football and graduated with a Business Administration degree in 1966. Married Sylvia (Olson)(MHS '62) on August 6, 1966 and then went into the USAF from '66 to '71. Came out a Captain. Worked for John Deere for 30+ years. Retired since 2004. Served two terms as a Moline alderman. Served on Moline Plan Commission and on the Moline Police and Fire Commission. I met Sylvia in Miss Hulse's Chemistry class our junior year. We first went out right before our senior year. We kept seeing each other through college, even though Sylvia went to Western Illinois University and I went to Dubuque. We both graduated in 1966 and got married in August of that year. Good ol' Miss Hulse. 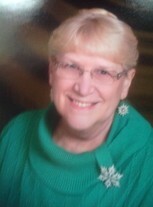 Linda M Wilt Free posted a message on Rick Anderson's Profile. Happy birthday Rick! Have a great day. See you in October. Rick Anderson has a birthday today. New comment added. Rick Anderson has left an In Memory comment for Mary C. Steckel Foster. Rick Anderson has left an In Memory comment for James A. Jamieson. Rick Anderson has left an In Memory comment for Roxanna (Roxanne) L. Mielke Kramer. Rick Anderson posted a message. I see you registered. Good. Hope you and all the MHS of 1962 girls enjoy San Antonio. Rick Anderson added a comment on his Profile. Rick Anderson posted a message. New comment added. Welcome aboard your MHS Class of 1962 website. Hope you enjoy exploring all the memories! Rick Anderson updated his profile. View. Rick Anderson added a photo to his profile gallery. Picture of Sylvia and me (on either end) with our daughter, Teri, next to Sylvia, and our son, Tim, next to Teri. Tim's wife, Jada, is next to him. Our friends, Larry and Diane Hartwig are also in the picture. This was taken in our "birdcage" at our house in The Villages, Florida, spring 2018. Photo of me in my American Legion Post 347 honor guard uniform right before marching in a parade in The Villages, Florida, spring 2018. Hope you have a great day, Sylvia. Rick Anderson changed his "Now" picture. New comment added. Rick Anderson changed his "Then" picture. Rick Anderson changed his profile picture. Great picture, Woodie. I agree you look very much like a class president should. More importantly, Woodie, you were obviously the right choice for that position. I don't know of many other class presidents who have lived up to their responsibilities for so many years. Thank you very much. Just one of the many reasons I'm proud of MHS Class of 1962! Rick Anderson has a birthday today. Stuart V Mott posted a message on Rick Anderson's Profile. Holy smokes, Skip, you sure have a full family tree. And it sounds like all is well for you. Thanks for the update. Always good to hear about you. Did you take a look at the reunion pictures. Fortunately we have been able to get back for all of them except when we were in the USAF (5 year reunion) so we kind of kept up with appearance changes and know who is whom. Take care, Skip. Always enjoyed you.